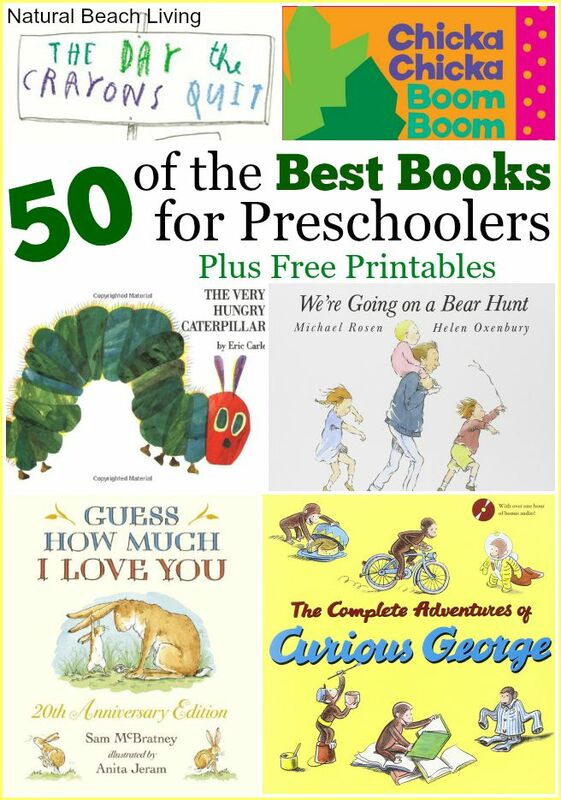 It has been so much fun working through the alphabet with Little B. 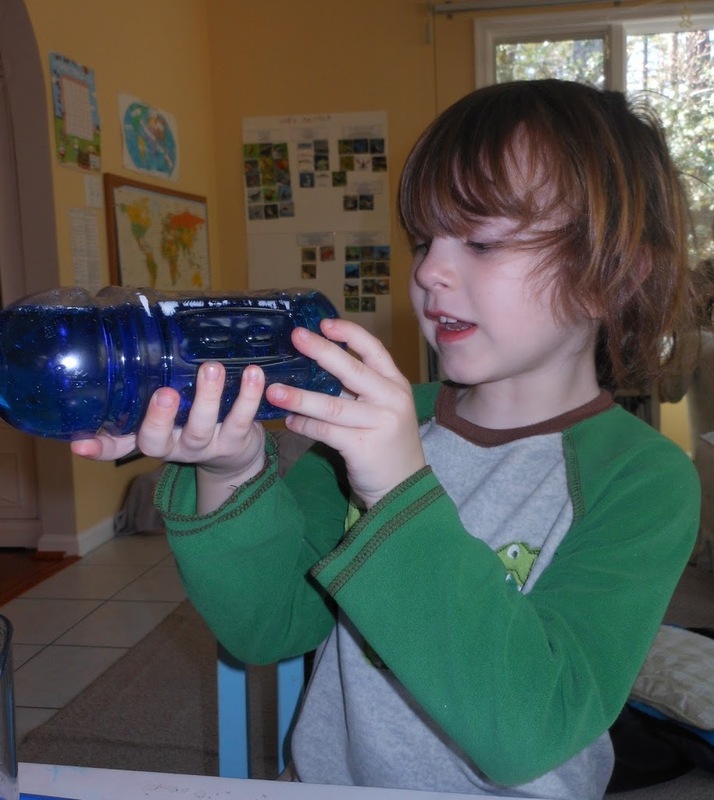 He loves to homeschool and is eager to learn all the time. This week we spent time exploring the letter O. Since our family loves the beach, I figured why not head to the Ocean. 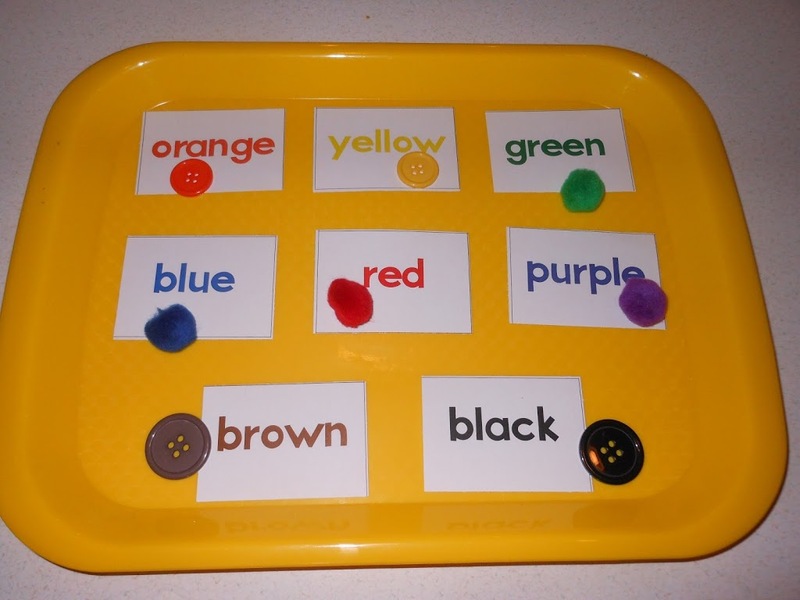 That is where our week of preschool letter 0 began. I used the Safari Ocean Toob, blue glass beads, and green flower beads. Next I added shells and fizzy balls for extra fun. I made the fizzy balls with a box of baking soda and water. These are super easy to make, you just mix a little water into a bowl with the whole box of baking soda (just enough water to mold them into balls or shell shapes). I hid small sea life into our fizzy balls for extra excitement. 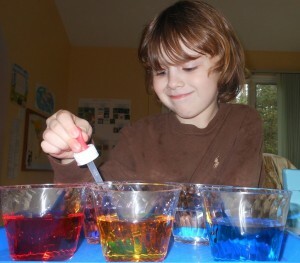 Then I filled a few spray and squeeze bottles with water (3/4 full), the rest with vinegar, a few drops of blue food coloring and shake. The boys loved everything about this sensory bin, from the fizz, to the spraying and squirting, to playing in water and finding hidden treasures. We will definitely do this again. 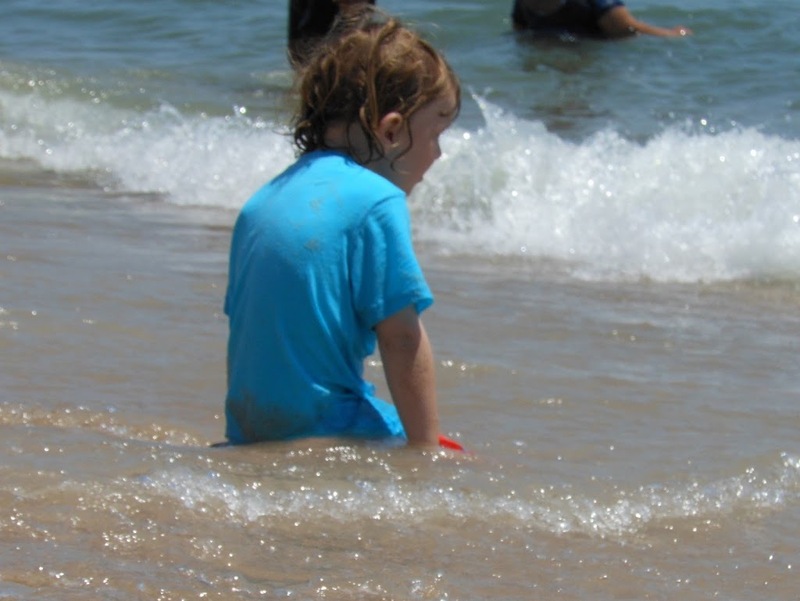 Even the older boys got involved with our Ocean play. 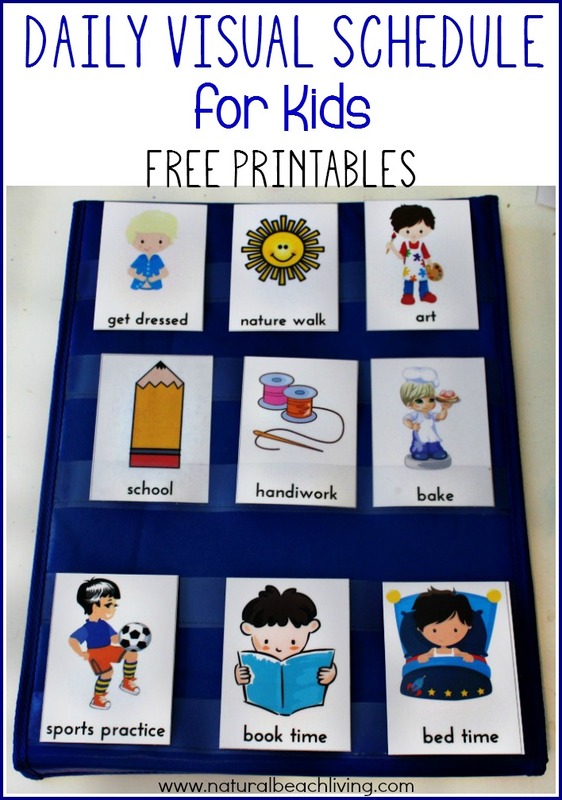 Inspired by Fun at Home with Kids. 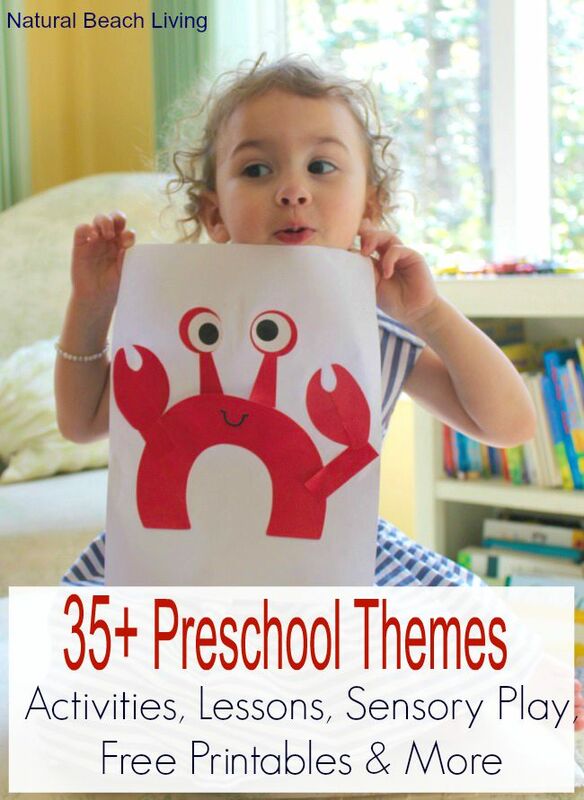 Check out 150+ Screen-Free Activities for Kids: The Very Best and Easiest Playtime Activities . 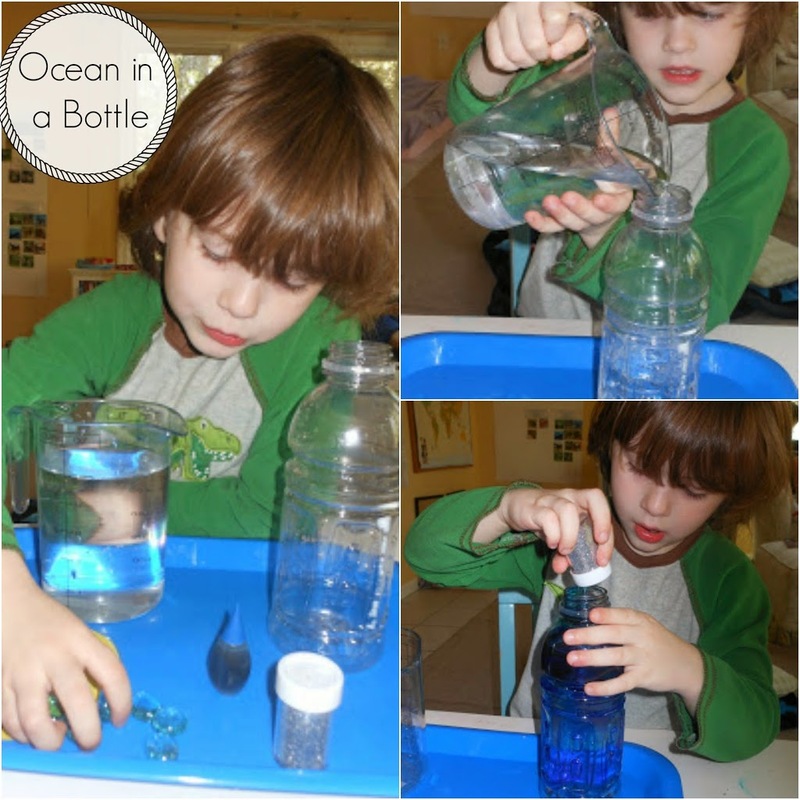 Next Little B made an Ocean in a bottle. He poured his water (practical life skill), added his blue food coloring, blue glass beads, and a little bit of silver glitter. Discover the Ocean in a bottle. Now we can sit this up on our Ocean Science Table and enjoy it for a long time. We also read a couple of great Ocean books this week, some of our favorites are I’m the Biggest Thing in the Ocean, I’m the Best Artist in the Ocean, and Under the Sea. The next O word we worked on was Orange. 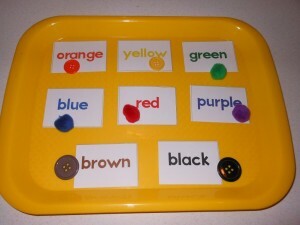 Here I set up a tray with buttons and pom pom’s and Little B had to match them to the color card. Mixing colors with a dropper to get Orange. 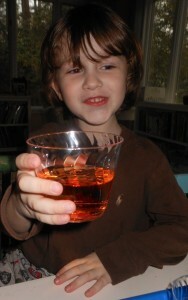 Little B has learned how to make Orange with red and yellow. 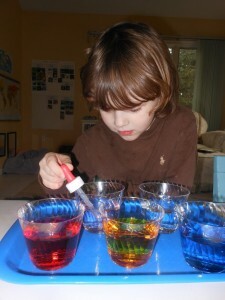 Not to mention he worked on his fine motor skills by using the dropper. 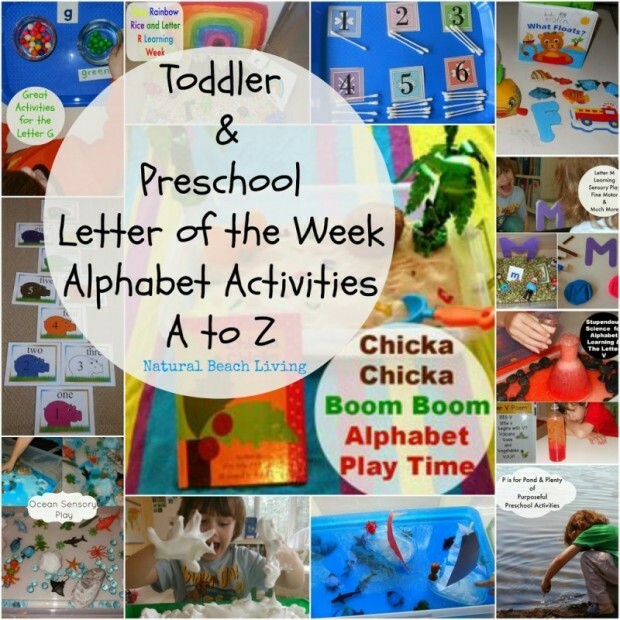 This was a fun week filled with preschool letter o activities. 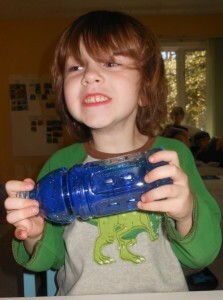 It was packed full of Sensory play and learning. 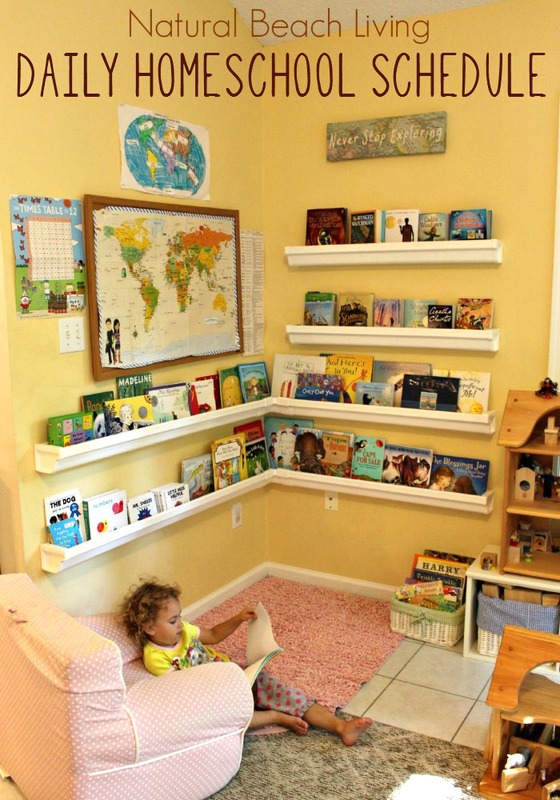 Follow Natural Beach Living’s board Natural Beach Living on Pinterest. We just finished our Oo:Octopus unit and I wish I had seen this sooner. Love your ideas. 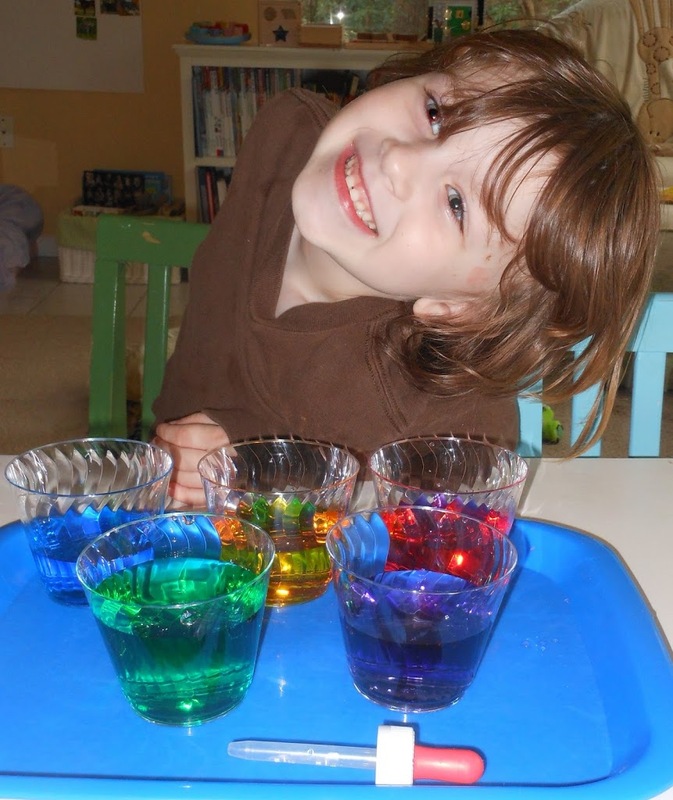 I had thought of doing a sensory bin, but couldn’t find the things I needed in our area. Loving the Fizzy Ball idea. The sensory tub was an act of genius!! I’ll definitely be stealing that next year! 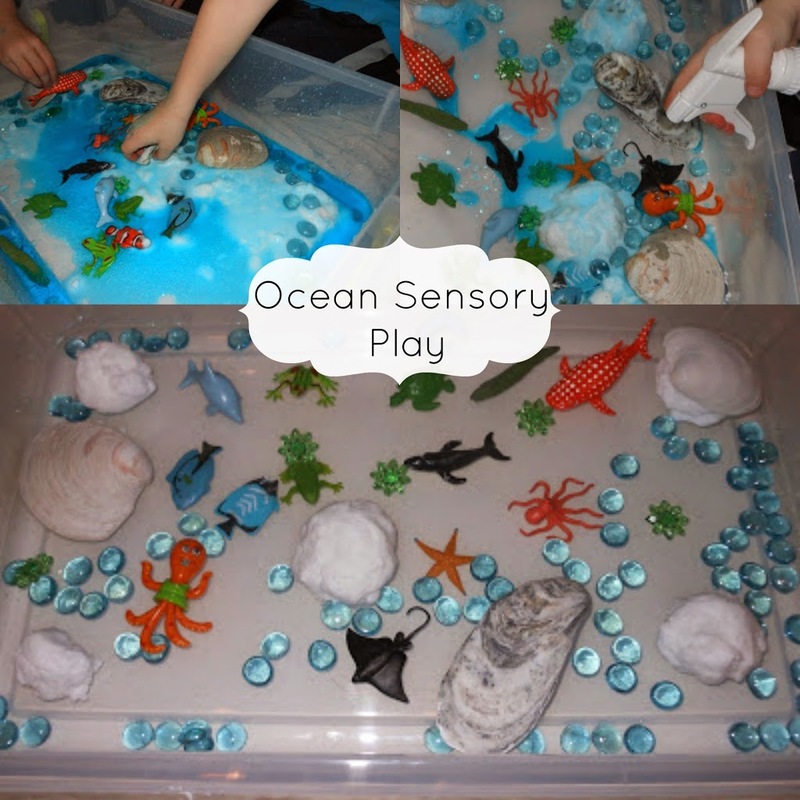 What a FUN sensory tub!! What a fun idea for the fizzy balls!